The hotel along the interstate has been a refuge for her and other Puerto Rican families, but it’s frustrating “to be cooped up here without knowing what will happen to us,” the 19-year-old mother said as her 15-month-old son squirmed and cried in her lap. Danaliz Pujol is staying in a hotel, too, near Orlando, Florida. She and her husband are trying to find an affordable apartment to replace the one in Puerto Rico that was damaged in the storm and then rented to someone else after they fled to the mainland. She looks every day, “but there’s nothing,” she said. 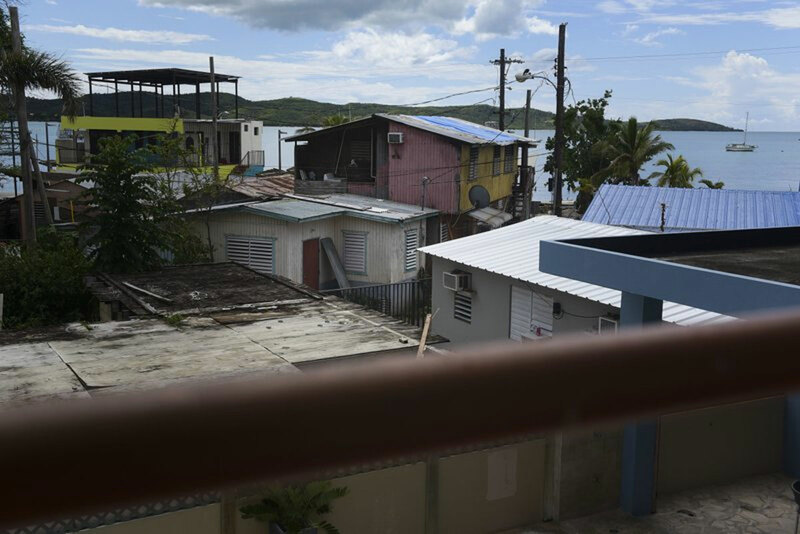 Nearly six months after the storm, almost 10,000 Puerto Ricans scattered across 37 states and the U.S. territory still receive temporary housing assistance from the Federal Emergency Management Agency. That help has been renewed repeatedly, but it’s now scheduled to end for everyone March 20. Without financial support, they will have nowhere to go, many storm victims say. “I could end up on the street just as I’m trying to get back on my feet,” said Pujol, 23, who earns money by cleaning hotel rooms. Her husband is disabled and cannot work. Some like Flores struggle to find work because they don’t speak English well. Others have children with special medical or educational needs. “To start all over again is really hard,” said Ivette Ramirez, whose home in the Puerto Rican city of Bayamon was flooded by the worst storm to strike the island in decades. The restaurant where she and her husband worked was destroyed. She is now staying in a hotel in Dedham, Massachusetts, with aid from FEMA. So far, FEMA has provided $113 million in rental assistance to 129,000 people who were in Maria’s path across the island. Puerto Rico Gov. Ricardo Rossello has asked for the deadline to be extended to May 14, and the government says it is reviewing the request. 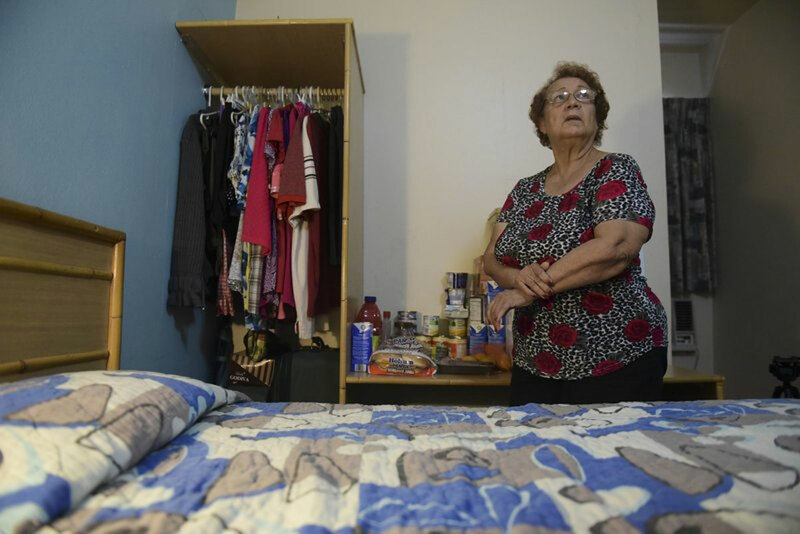 Her former home in San Juan public housing has been deemed habitable, but she wants to stay on the mainland to get better medical care. She doesn’t know how long she will be able to stay in this hotel, or where she will go next. Their FEMA benefits ended when their home was approved for habitation, but their newborn was getting emergency treatment in St. Petersburg. For a week, they slept all together in the hospital, but they have since moved to a nearby shelter. They still don’t want to go back to Puerto Rico, where the family believes their daughter won’t get the treatment she needs because medical specialists are scarce on the island following a 10-year economic crisis. “I have nothing in Puerto Rico. It would be like going to an empty shoebox,” the 29-year-old father said, his voice breaking. Ivan Ferreira, a 55-year-old retiree at the same hotel, said he’s grateful for the lodging but points out that he could have fixed part of his house for what FEMA has paid for the room. Back in the Boston area, Flores’ hotel initially offered a welcome break from the chaos after the storm. But now it’s become tedious. “The only entertainment I have is my son,” she said. Her husband managed to find work as a cook but she has had no luck. It doesn’t help that she doesn’t have a car and her hours will have to be limited because she has to care for her baby. “I’ve applied for everything I see, but I don’t hear anything,” she said.